- Tuesday, February 12th (5:30pm - 6:30pm): Immigration And Heritage - Stories From There To Here: Whether you are new to this country or many generations in, everyone has a story to tell. In 2019, The World Awareness Children's Museum will host a forum for storytelling to foster cultural understanding and celebrate the diversity in our communities. All interested people - individuals, couples, and families - are invited to attend this information session. Children may play in the museum at this time and snacks will be served. Please email director@worldchildrensmuseum.org or call 518-793-2773 Ext 305 for any questions! - Friday, February 15th (11:00am - 11:30am): Little Ones Yoga - Introduce your children to Yoga at this fun program Friday, Feb. 15th! Our "Little Ones Yoga" program, led by guest teacher Neha Golwala, aims to develop proper posture, better balance, and self-awareness in this fun, child-friendly practice. This yoga workshop is best suited for children 5 years old and younger, but all ages are welcome to attend! This program is free with admission, though donations are gladly accepted. Event runs 11:00am - 11:30am. - Friday, February 15th (5:30pm - 6:30pm): Family Trivia Night - Get your family in the friendly competitive spirit and join us after hours on Friday, Feb. 15th from 5:30pm - 6:30pm for "Family Trivia Night"! All ages are welcome. Teams of 6 or fewer people will play to win a special reproduction of one of the images in the Museum's art collection! This event is free, but donations are gladly accepted. - Saturday, February 16th (1:00pm - 2:30pm):Paint And Ship (Mexican Sun Folk Art): Our popular family friendly Paint & Sip series returns Saturday, February 16th with a "Mexican Sun Folk Art" theme! This event runs from 1:00pm - 2:30pm and is $20 per parent/child duo ($5 for each additional child, $10 for each additional adult). Members receive a 50% discount! Please call 518.793.2773 to reserve your spot today! The World Awareness Children's Museum is the first and only children's museum in the country with multi-cultural education as its core mission. For over 20 years, the Museum has provided children, families, members of the community, visitors and supporters an accessible and authentic opportunity to cross boundaries and explore, and has fostered curiosity and appreciation for the rich cultural diversity of humankind. The Museum was designed to instill at an early age, the principles of inclusion, acceptance and understanding through engaging, interactive activities and educational programming. 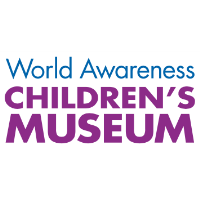 The Museum is a 501(c)(3) non-profit organization and houses over 10,000 pieces of children’s art and donated objects from around the world in its collection.